Fuji Yoshida is a historical town. It used to be crowded with pilgrims of Mt.Fuji and flourished with those who were engaged in textile manufacturing. You can see many vestiges of the prosperity and still here at Michi-noEki ‘YOSHIDA’, you will be able see it with many visitors gathering on weekends and holidays. 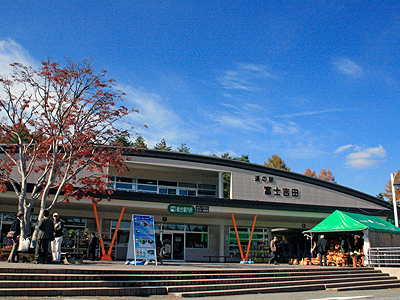 Inside the Michi-no-Eki building, local vegetables, edible wild plants and wild herb tea are sold as well as other souvenirs. Many Mt. Fuji goods are here too. 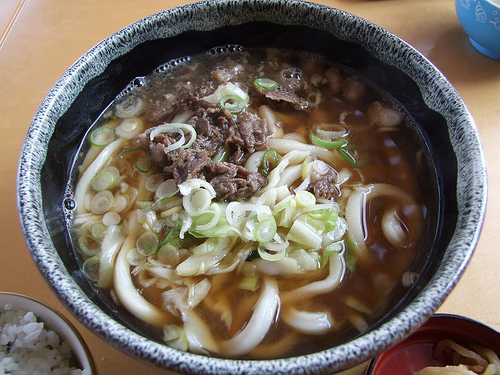 In the restaurant, you can try the popular local dishes such as ‘Yoshida-no-udon’, an UdonW (Japanese thick wheat noodle in soup) kneaded throughly with pretty much of salt so that the dough (noodle) gets quite tough. It is served with cabbage and horse meat which we don’t see in other parts of Japan. There are also interesting snacks here like ‘Udon Taiyaki’. TaiyakiW (fish shaped pancake stuffed with sweet bean or miso paste) which contains ‘Yoshida -no-udon’ and ‘Baniku Man’ which is a steamed bread with horse minced meat inside. Local beer restaurant, ‘Fujiyama Beer’ is a place where you can taste the fresh beer that just came out of the brew. Fuji Yoshida was once a town with the best yeild of hops in Japan. 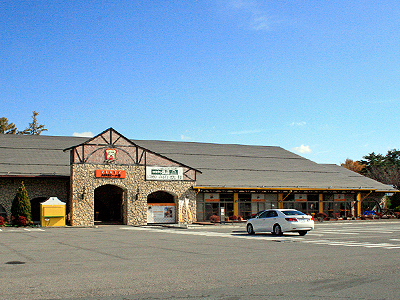 Japan’s famous beer company ‘Kirin’ had their hopfield in this area until 1994. 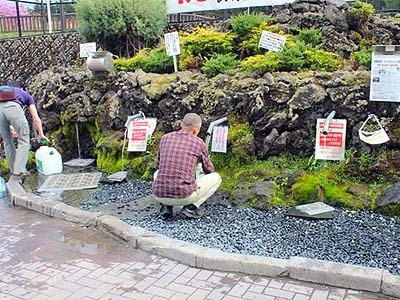 You can get natural spring water from Mt. Fuji as there are some taps by the large parking area here. The pouring pipes are at the opposite side of the Michi-no-Eki building but you can easily find the as there are many people with plastic containers in queue. Mt. Fuji spring water. Photo from Michi-no-Eki ‘FUJI YOSHIDA’ Official site. Mt. 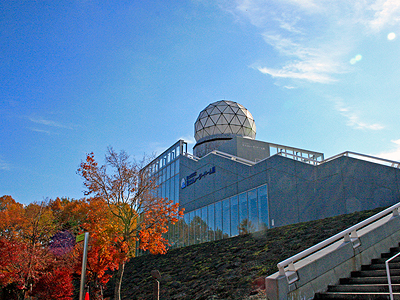 Fuji Radar Dome and Mt. 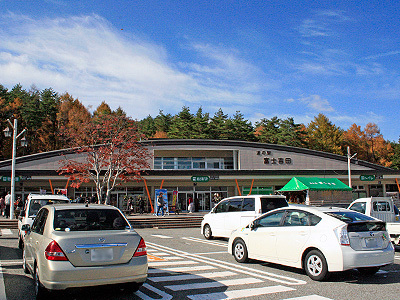 Fuji Arena are in the same area, and Fuji-yoshida Local History museum and Gun-nai Local Industry Center are located nearby. Address : 1936-6 Araya. Fuji Yoshida-shi, YAMANASHI Pref.